If I go to the effort of putting makeup on my face then I expect it to hang around – no disappearing off my face by lunchtime, please. Especially now it’s getting a little bit warmer, coupled with travelling on the tube (never the central line, save me) and working in central London, my base can err on the side of sweaty… Meaning I am relying on some budge-proof beauty picks to save my face. Starting off, as always, with a good primer to make sure any foundation has something to adhere to – for keeping makeup on I like primers that make the skin feel almost a little bit tacky. One of my favourites is the Marc Jacobs under(cover) coconut primer because it’s hydrating but not at all rich on the skin so everything is smoothed and hydrated so foundation clings onto your face. Marc Jacobs makeup is seriously dreamy, and they have expanded their coconut range to include a setting spray that I have my eyes on… Foundation wise, one of my favourites for longevity is the Too Faced born this way which provides a nice medium coverage to the skin without feeling too heavy or caked on the skin. I like to really buff this into the skin so it blends in seamlessly and leaves everything loking sufficiently skin-like. To make sure everything is locked into place, a dusting of powder all over the skin makes sure your base isn’t going to move. I like this one from MAC because it feels silky on the skin and doesn’t go patchy on any dehydrated or oily areas – having a blotting powder in your bag for touchups is an essential for me as well! Lastly, a good dousing of the Urban Decay all nighter setting spray is the final step for making your makeup budge-proof – I adore this stuff. I’ve gone through a couple of bottles but now it’s had a dreamy repackage and looks better than ever. 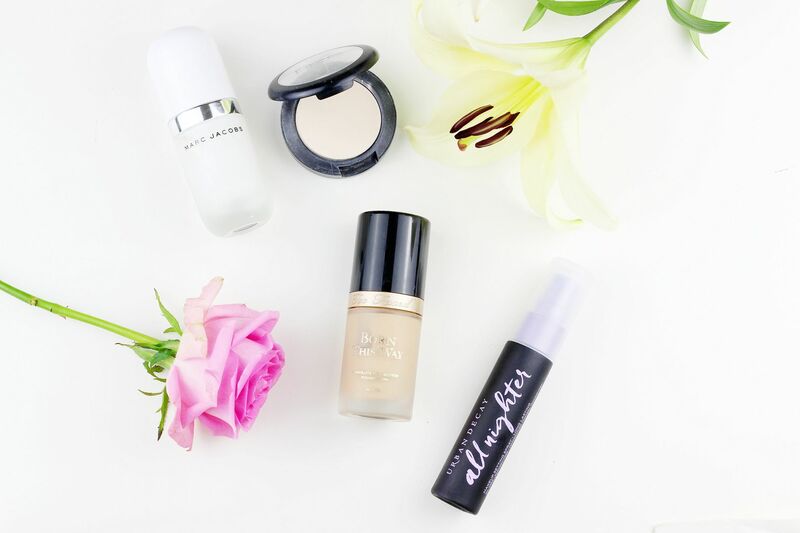 A setting spray is definitely my favourite way to finish makeup and it’s a bit of a necessity in the warmer months – it doesn’t change how skin looks but just adds a veil which protects the face from the elements.